Old world charm meets modern luxuries with this exquisite home stately situated on one of Farmington's most prominent historical streets. 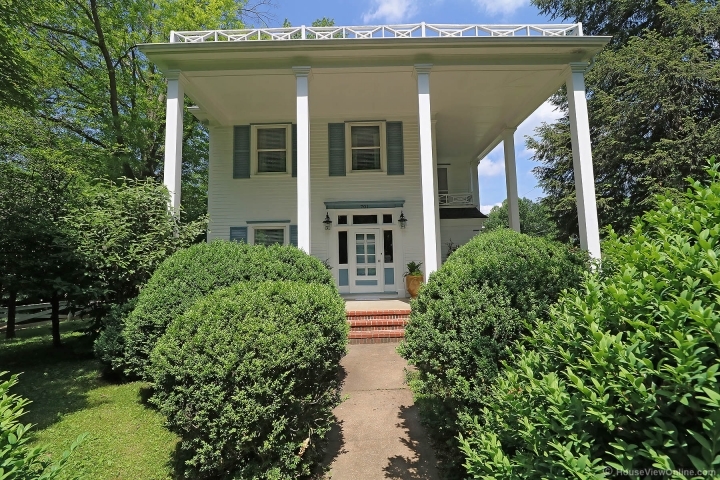 Beautifully restored 1907 Colonial home is full of architectural details w/pocket & French doors, some original hard wood floors, over 3400 sq. ft of living space with a formal dining room, living room, den & great room just off the kitchen. 4 large bedrooms, 2 Master Suites, & 2 more bedrooms share Jack & Jill style bathroom. One upper level bedroom has it's own balcony! Entertain your guests with large great room that features a lovely kitchen with beautiful cabinets & granite counter tops. Enjoy your morning breakfast in the breakfast nook with beautiful views and a wall of windows! Host tea parties on the covered porch, or cozy up with your favorite book by the fireplace in the den! Partially finished basement with family room and storage area. This picture perfect property also offers a small pond in the nice level yard, & 2 car detached garage.